What is 90 g Paper? When paper has a weight of 90 g (or gm/m2, gsm, g/m2), this means that one sheet of this paper that is one square meter in size weighs 90 grams. Paper that is 80 g would most often be lighter and thinner than 90 g paper, paper that is 100 g would be thicker and heavier. This European measurement is approximately equal to the English measurement of 24 lb. bond/writing or 60 lb. text paper. I’m not even going to attempt to explain the complicated English method of measuring paper density, but you can read about it on Wikipedia if you wish. Clairefontaine 90 g paper is well-known and loved by fountain pen users the world over. The weight of this paper combined with Clairefontaine’s super smooth finish performs very well with fountain pen nibs and ink. 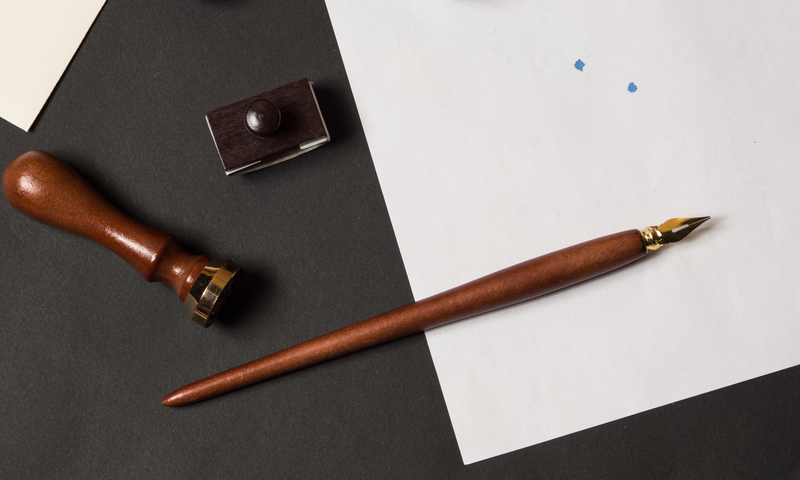 There is very minimal, if any, problems with fountain pen ink on this paper such as bleeding through the paper, feathering or showing through to the other side. 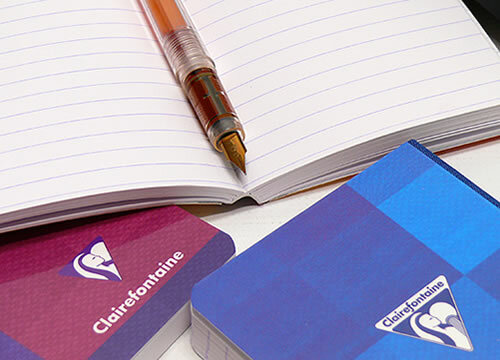 If you haven’t already tried Clairefontaine’s famous paper why not add some to your collection. Your fountain pen and your hand will thank you! I am a fountain pen user and the Clairefontaine paper is WONDERFUL! But even if I just used a regular pen, I really find their notebooks/journal/sketchpads to be so nice. There is something about writing on nice paper in a well-bound book that makes everything I write seem special — even the grocery list! I’m currently using Clairefontaine French Ruled paper to practice my penmanship using both fountain pens and dip pens (including my glass pens) and it is a joy to use this paper. I recently acquired a Clairefontaine hardbound, large notebook and I am looking forward to using it as a journal book. When did Clairefontaine change the cover style. I much prefer the old style mono color cover. They changed the covers maybe 2 or 3 years ago, and likely they will change the cover design again at some point in the future.